Well, that tangle of squash plants is determined to take over the world, and the race is on. In comparison, the garden’s sole melon plant seems so timid and delicate. Different natures, I suppose. 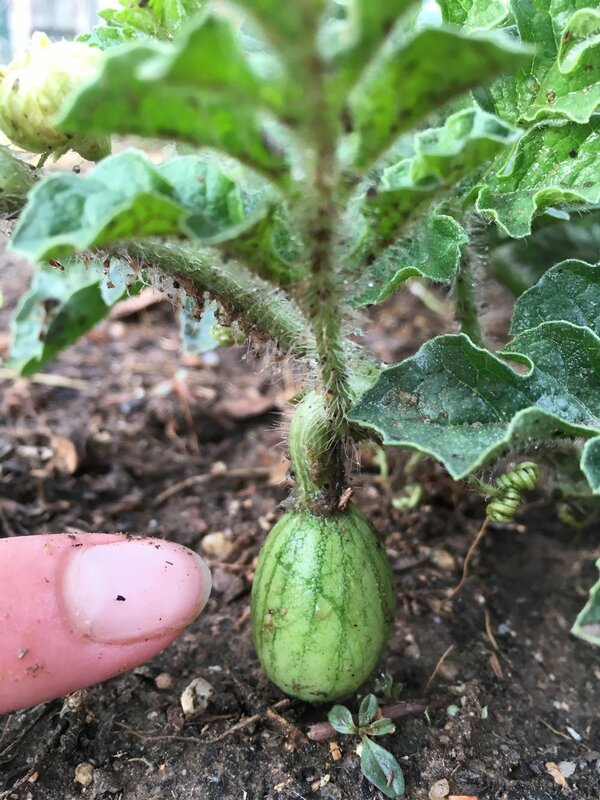 While the squash is pouring all its energy into exploratory vines, the melon is quietly at work setting its first fruit, and in that sense already a big step ahead. Look at those tiny little flowers, and the tiny little melon that emerged over the weekend!